Photo: Heartfelt thanks to Greg Rakozy on Unsplash. I have a friend who thinks very much like a Seventh Day Adventist – he loves to ponder the idea that this world isn’t the true reality. When I told him that I didn’t spend a lot of time thinking in those terms, he was shocked. “How can you not think about that? I think about it all the time!” And I had to sort of back up and think about it. In the end, I decided that it was perfectly all right to keep my feet on the ground and not go soaring in clouds of abstraction, where I’m not comfortable, in any case, and where I’m only likely to become more confused. My entire spiritual life has been an effort to diminish my confusion. In fact, it was Swamiji who got me started in that way of thinking, years ago. It was true. At various times, I may be more confused than at others, but when it comes to thinking about the unreality of this world, I confess that it’s still beyond me. Swamiji spent an enormous portion of his life explaining the spiritual teachings. And whenever he would get an image that he felt might help people understand a spiritual concept, he would write and speak about it and share it with us. I remember a talk he gave, about twenty years ago, where he invited us to visualize a barren planet, and to imagine that it was the only planet in creation. He asked us to consider that, if there is no separate point of contrast, there can be no sense of time. He talked about how there would only be a sense of time if the planet had a moon, and so on. And it was only yesterday, while I was listening to the talk again, that for a split second I understood what he was saying. But then it immediately evaporated, because you can talk to me all day long about how there’s no such thing as time, and I’ll be absolutely incapable of grasping it in any reasonable manner. And yet, when I think about it, I realize that the reality of it informs everything I do. I’ve shared with you a conversation I had with a man who worked with terminally ill people. He described how he would have them make two lists. First he would ask them to list all the things they were disappointed that they wouldn’t get a chance to be a part of after they were gone. Then he had them list all the things they were relieved that they wouldn’t have to face. And he said that the list of things they were happy not to face was always the key to the spiritual issues they were dealing with. It was a very long time ago that I accepted reincarnation as a theory, and over the years it has become so integral to my way of thinking that it absolutely precludes any possibility of my being overjoyed at the prospect of not having to face my karma in this life. I’ve come to understand that the possibility that I might not have to face my karma this time around is completely insignificant, compared to the fact that I will have to face it sooner or later. Again, if there’s something in my life that I’m not enjoying – well, guess what that is? It’s something that I’ve had trouble facing in the past. It often seems like these things have been set in motion in our present lifetime, doesn’t it? – even though we may have created the karma long ago. Very often, it doesn’t seem like it’s something we’ve set in motion in the distant past. And I’ve realized that it’s because of the illusion of time. Even though Swamiji’s example of a dead planet sails right over my head, I’m able to understand the central fact of our existence, which is that there is no escaping our karma. Because the past never really goes away, and the future isn’t going to be all that different from the present, and we will have to face our karma, sooner or later. It’s a down-to-earth way of understanding that there is no such thing as time. If there was such a thing as time passing, there would be an escape hatch, and we could slip through and escape our karma by simply outliving it. And, well, sorry, but there is no outliving the results of our past actions. In other words, everything has to be faced, and there’s absolutely no way around it. Nobody is ever going to make it easier for you by apologizing, and nobody else is ever going to make it right so that you won’t have to face your karma. I don’t like to spend a lot of time thinking about high-flying abstractions, because I find it’s more practical just to get up in the morning and try to be nice. And that’s an excellent start – let’s just try to be nice. At the same time, I realize that what gives me the power to keep getting up and trying is the big picture. Because the reality is that it’s always going to be now, and there’s never going to be a time when my karma won’t be with me. I was here in the church on Friday with Gary and Navashen, and because we’re at the end of the holiday season, the cloths that we had hung from the rafters needed to be taken down. So someone had to climb a very tall ladder, and that person was not going to be me, because I have an intermittent fear of heights. I was there to help Navashen, but I couldn’t actually watch him. He’s perfectly comfortable scrambling up and down a tall ladder, but I had to turn away and try to have a pleasant conversation with him while he worked up there by the ceiling. And what was amazing to me was the power of the fear, and of this terrible feeling that I had to work very hard to push way. I had an experience in the cathedral at Florence. There’s a long flight of stairs that you can take to climb up inside the dome, and then you come out on a catwalk where you can look down from the dome, or you can go out on the roof. Photo: Dome of the Cathedral of Santa Maria del Fiore in Florence, completed in 1436, designed by Filippo Brunelleschi. I had forgotten about my fear of heights, and when I popped out onto the catwalk, I had gone more than a little way before I looked over the edge, and I had a flashback of having fallen from a great height, and I absolutely panicked – I rushed back past everybody and down the stairs and out into the air. 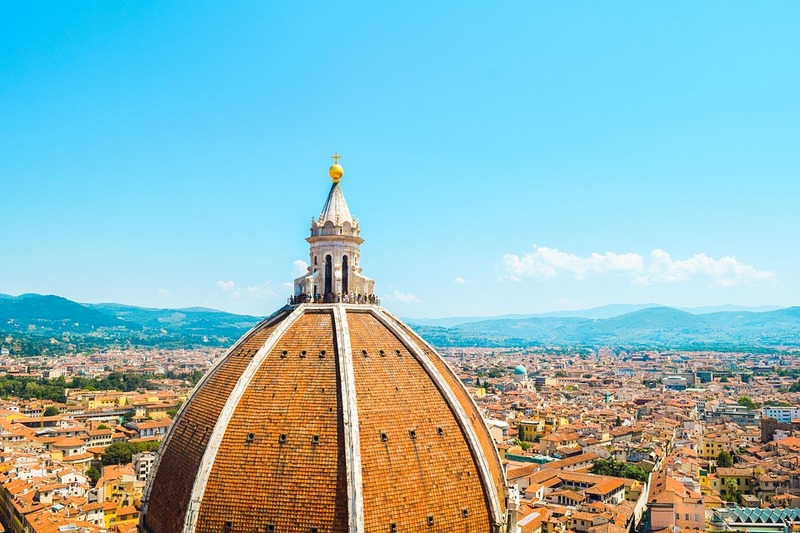 Some years later, I was in Florence with Santoshi, and we went up the stairs together. Santoshi is a sturdy person, and I took hold of her skirt and we made it all the way to the top. There’s a picture of me sitting at the top with a triumphant expression because I made it. But I did it for a simple reason, because I wanted to deal with the fear by playing it out and letting myself imagine “What if she falls?” Because if she falls it will only mean that this life has shifted, and we’ll find a way to go on. That’s one way to manage your fears – just see how far the fear will take you, and see what happens, knowing you’ll still be there, because your consciousness never stops. 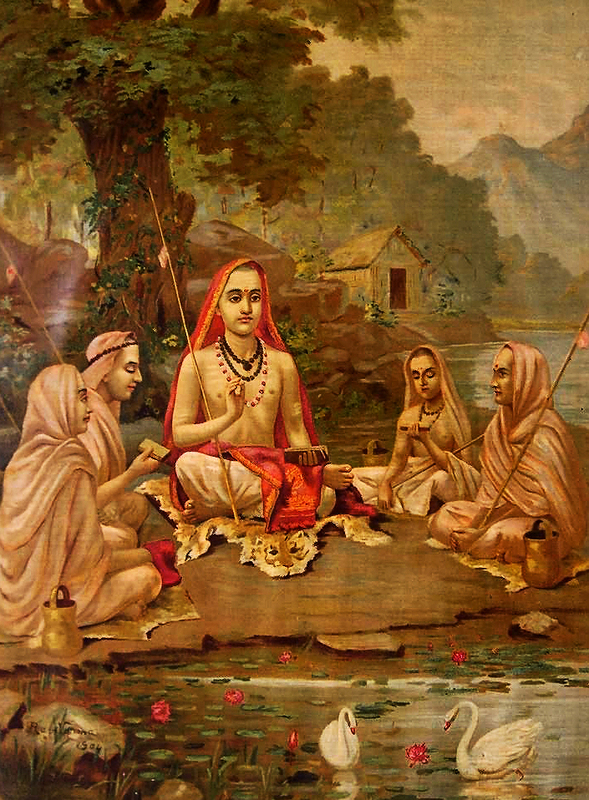 A woman disciple of Swami Shankara was very fearful all the time. She was always pestering him with her nervous questions – “But what if this happens, or what if that happens – what then?” One day, she said, “What if I die?” And Swami Shankara turned to her and said, “Die, then.” And she fell over dead. It was a hard lesson, and I like to think that she was able to laugh about it, because the worst had happened, and she could see that there is no “worst,” because we are manifested of the one Spirit, and nothing about us exists apart from the One. When Swamiji talked to us about time, he said that the little personalities by which we recognize each other, and by which we recognize ourselves, actually have nothing to do with us. The little self-definitions by which we define ourselves – “I’m sparkly here, dull there, and talented over here” – are just aspects of the tiny wave that rises up out of the vast ocean and looks like a personality for a while, but the ocean never becomes the wave, and the wave is never less than the whole ocean. We get so confused. And this is why I like to think that it was high praise for Swamiji to tell me that I was less confused than I used to be. Aside from my problems with understanding the nature of time, the teachings are fantastically clear, especially when we get down to the parts that we can understand and that are personally meaningful to us. 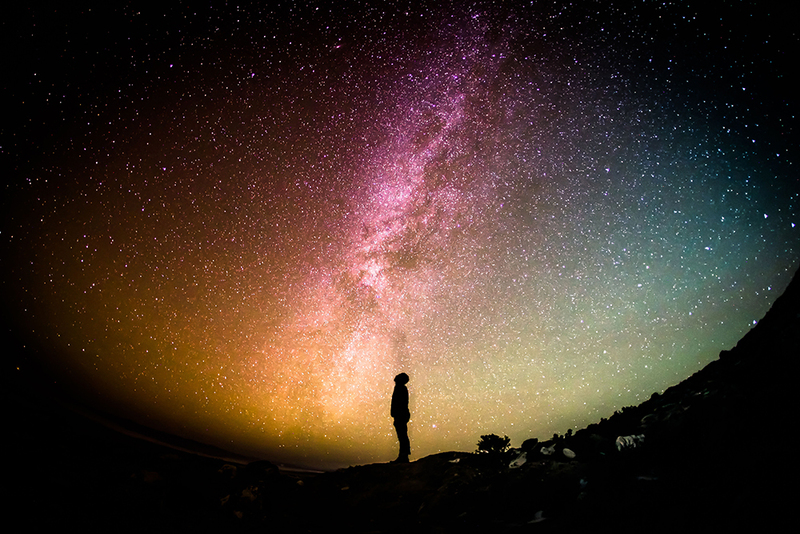 I like to pick the parts of the teachings that work for me, and one part that has worked terrifically well concerns the transition from the Vaishya consciousness to the Kshatriya consciousness. These are two of the four psychological castes of India. They’ve become distorted over time, so that today they’re the basis of a rigid and oppressive caste system. But they were originally fluid, and you would move up in caste as your consciousness evolved. In their pure form, the castes describe how we progress from delusion to freedom. Our caste is defined by what we believe will bring us happiness and alleviate our suffering. And most of us are vibrating somewhere between Vaishya and Kshatriya. I’m afraid of heights, and I don’t want Navashen to climb the ladder because it’s making me afraid. I’m feeling uncomfortable, and something needs to change. And of course there is no actual “something” out there. We get upset because there’s a vibration out there that’s starting a vibration in us, and we’re afraid because we’re anticipating that something bad will happen, and it will be more than we can handle, and we need to stop it. You’re an unpleasant person, and you need to change. You’re a bad president, and you need to be defeated. I can’t stand to see these homeless people on the street, and somebody needs to do something about it. I looked at him and thought, “Honey, I wish we could.” I wish I could change it for me, too. I occasionally find myself thinking, “Somebody do something!” But nobody can, because what’s required is a shift in my own consciousness, from Vaishya to Kshatriya, and from Kshatriya to Brahmin. As you begin to think like a Kshatriya, you develop the consciousness of a soldier. The attitude of a soldier is that he cannot let external circumstances affect him. He has a job to do, and he has the courage, determination, and training to do it, even at the cost of his life. That’s the ideal, and spiritually what it means is that I understand that the battles I have to fight are within me. Some battles are easy for us – Navashen is confident climbing the ladder, and he was able to work calmly and without fear. Meanwhile, I’m down here on the ground, and I’m freaking out. That’s what the Vaishya says. And we get to hang out as Vaishyas for a very long time. We get rich, we get powerful, we get influential, we get control, and we think we’re holding it all together. And then there’s an earthquake and it all comes crashing down, time after time, until it finally begins to dawn on us that we’re fighting the wrong battle, and that the real victory is to know who we are, and to be able to deal with our circumstances. “I’m so afraid I’ll die!” And the guru says, “Then die!” I’m afraid I’ll get old and I’ll be left alone, and no one will love me. They’ll see me for what I am, and they’ll be unpleasant to me. God knows, we’ve set lots of stuff in motion, and now the bill needs to be paid. Whatever we hoped to avoid, and that we managed to die so we wouldn’t have to face it in another lifetime, it didn’t really go away; it just hung around until now. And now we have to face it, and are we going to keep trying to control it, or are we going to recognize that I am not these waves – that I am the ocean, and the more deeply I can understand that my only hope is to get back into the ocean, and live in the ocean, and know that we are all this one great ocean, the happier and the more inwardly free I will become. This is the great battle that’s being fought in the world today. It’s not about ISIS versus Christianity or the Democrats versus the Republicans. It’s whether we are one interrelated consciousness, and whether my actions can actually hurt you. And our only solution, really, is to come back to our source. 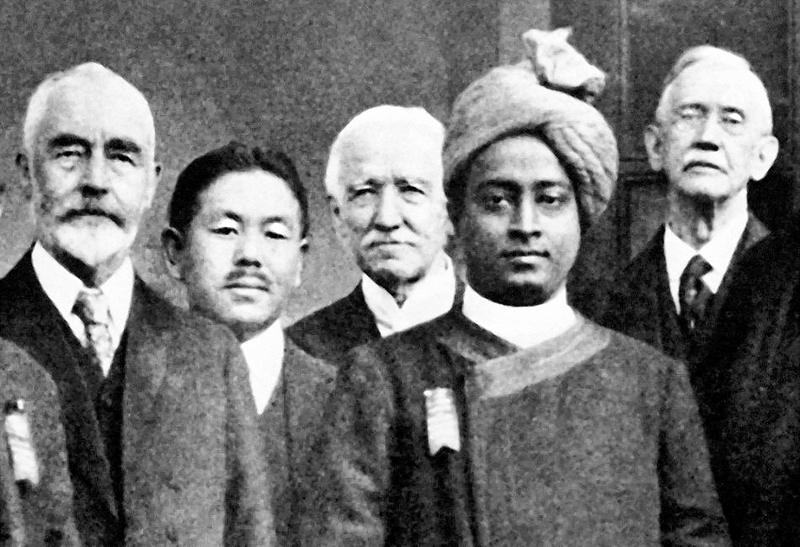 Paramhansa Yogananda at the World Parliament of Religions, 1920. 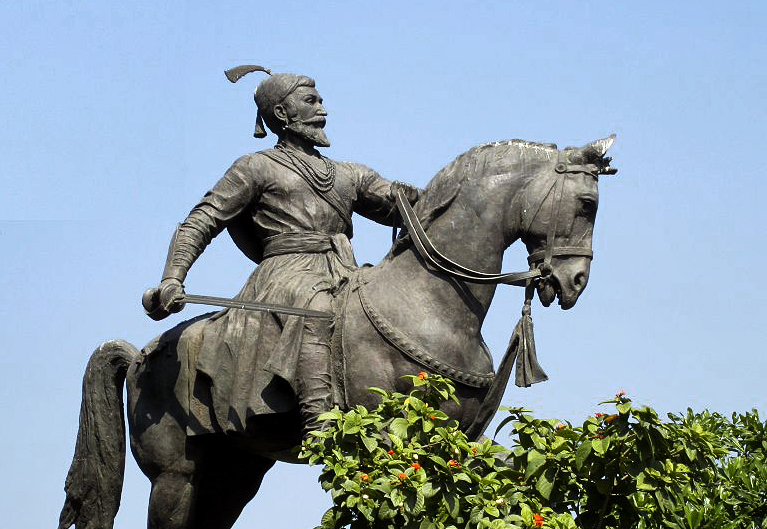 Born into a Kshatriya caste family, he had long since transcended caste. “No birth, no death, no caste have I,” he changed after Swami Sri Yukteswar initiated him into the Swami Order. When we understand our relationship with God, the news is always good. Because we weren’t even created by God – we were manifested by God, which is to say, we have always been one with His infinite divine being. As Swamiji said, God is not mad at us. There is no way that He will ever be mad at us. He set the whole thing in motion. The ocean wave rises, and we ride at the top of the wave for a while, and we begin to think that something entirely different is happening because we’ve lost sight of the ocean. We’re driving around thinking that this is the only planet. And I don’t know why this image is so powerful for me, but I have a vision of people on other planets driving around in their cars. And I find that this little mental exercise depersonalizes our situation to an extent that it is terrifying. It’s quietly terrifying to think that we are just infinitesimally tiny bubbles floating in the vast reaches of God’s consciousness. I have a misty memory of my “mental health holidays” in former lives, when I decided, “I’m going to live in a fantasy world for a while.” And when it’s all over, after all those incarnations in the asylum, I came back exactly to where I was standing. Welcome back, and how are you going to deal with your fears? We had a name for it – “True, but irrelevant.” Because it’s not as if we can just snap out of it. It was a peculiar thing God did to us, when He gave us the ability to live on two levels at once – to live in this world and deal with the realities that are facing us, even as we know that a higher reality awaits us. This is the best we can hope for: to live exactly where we’re standing in our consciousness, right now. And, yes, this world is a dream. It’s a dream in the sense that we were never really separate from our true reality. We have never displeased God. We will never not be loved. We have never failed. Nothing ever really goes wrong. It’s all just waves rising and falling and making us lose contact with the ocean. This is why, when people would come to Lahiri Mahasaya with their problems, he would give them the simple advice, “Do more Kriya.” In time, we see that this is the answer to all of our life’s problems. Lahiri was saying that our greatest need is to return to our true self, where no problems exist. Rest in the heart of who you are, and come out as you need to. And when it gets too agitated out there, find your solution by coming back into the heart. Come back into Master’s presence and into Divine Mother’s perfect love, because that is the only way we will ever be free.